On Day 1 of our trip, before we headed to Baguio we first stopped by at Our Lady of Manaoag by which I will blog in a separate post later. 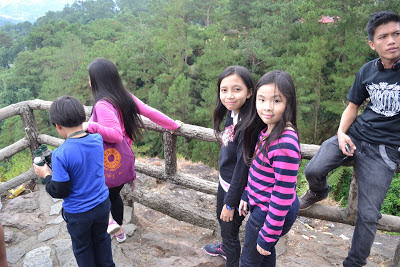 We reached Baguio at around noontime. After checking out our reservation at Alecksandra Recedencia, we unloaded our things and had lunch. 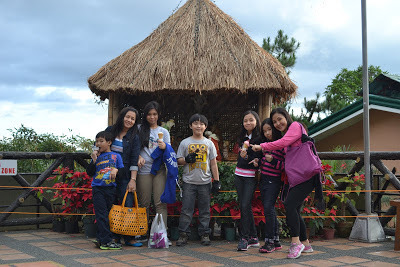 We wanted to maximize our time so after a few minutes rest, we proceeded to nearest tourist spots like Mines View Park, Cordillera World, Good Shepherd and Botanical Garden. We passed by at Laperal House, known to be a haunted house in Baguio (will blog in a separate post) before proceeding to Pink Sisters, our last destination for the day. Our first destination was at Mines View Park. Mines View park is the most visited park in Baguio. 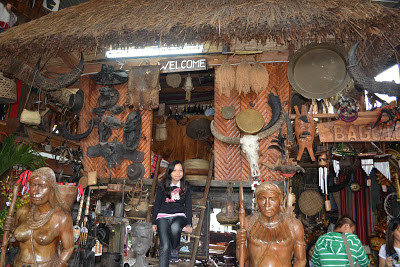 I said so, because it is always also included in my place-to-visit list when in Baguio. At the park, you can see a breathtaking panoramic view of Benguet's gold mines and mountains. You can also rent a binocular for closer view. 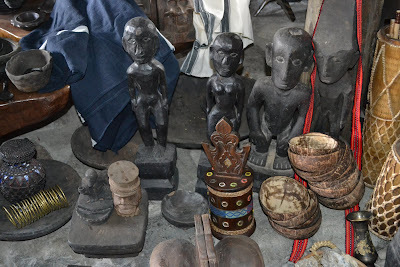 At the entrance park, you will find a flea market where you can buy a lot of souvenir items such as jewelries, accessories and local products like baskets, brooms, blankets and sweaters. The place is located near Mines View Park. 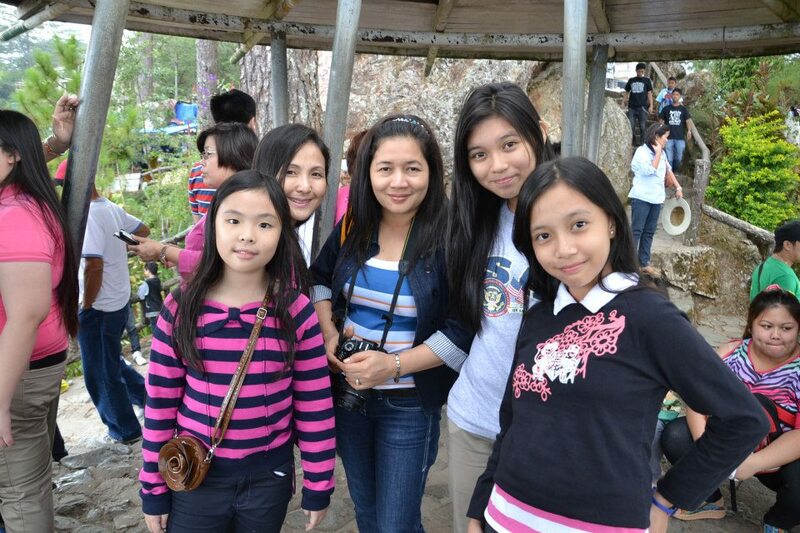 From the name of the place itself, you would know that it's about Cordillera and the people of the province. In less than an hour inside Cordillera World, you would discover more of the products, handicrafts and their way of living. This travel destination was only launched in March 2011. 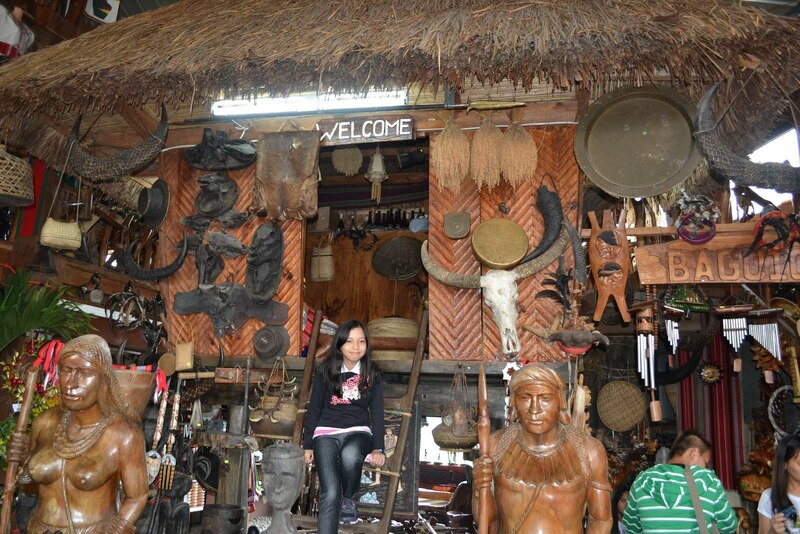 You can have many photo ops as much as you want inside the Cordillera World. You can wear Igorot and take all the pictures that you want. Donation is welcome to support out-of-school youth go back to school and help finance and support young families. A quick stop at Good Shepherd for Ube Jam. I forgot that I have enough Ube Halaya back home, left over food for our New Year celebration. 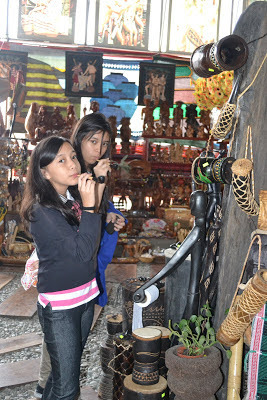 Good Shepherd is a place where you can buy goodies and other pasalubong. The most famous products are Ube Jam, Peanut Brittle and Choco Crinkles. Good Shepherd is located just a few meters away from Mines View Park, so don't forget to swing around if you're in the vicinity for delicious pasalubong. We arrived at Pink Sister's in perfect timing just before it closed. 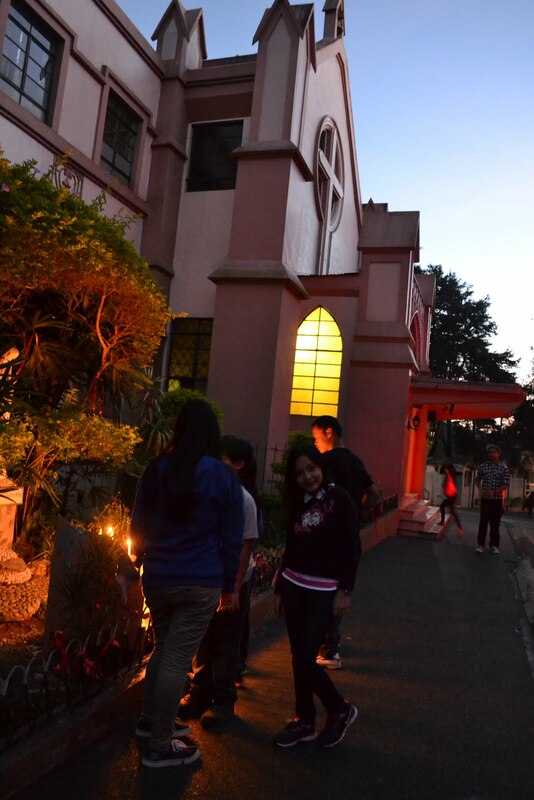 Pink Sister's convent is located somewhere along Brent Road in an upscale area in Baguio. It is not like the usual church where you can hear mass. The sisters were all in pink and meditating when we arrived but we were not allowed to take a photo as posted inside the convent. The place is also perfect to meditate and reflect. You can also write your wishes/prayers and drop in petition box located inside the church and the pink sisters will pray for your petitions. We ended our tour for the day here and headed back home. Again our big thanks to Mendiolables for another great adventure. If not for the best event planner, now travel planner, Joy who prepared the itinerary and her better half John for making the trip possible, not to mention his familiarity to the place via GPS guide, the trip would have been cut to ten, half only of the places we visited. What makes this trip new is the happy Mendiolables who's always smart and witty in making the trip worth every time. 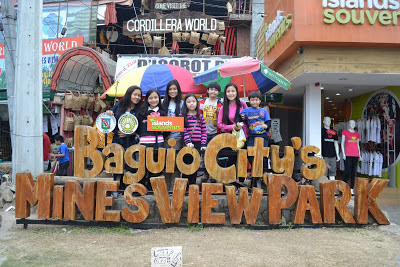 tara na daw sa baguio, baguio, baguio. just finish jogging and ab workout. gotta burn the food we ate last night. dapat pag dating ng march makikita na ang ab ko para sa summer swimming natin!